Attorney Reviews & Testimonials | Paul Rudder Esq. "Paul is an excellent attorney and a warm, caring human being. He handled my case skilfully and obtained a favorable, balanced resolution, while also managing to make the whole painful process bearable. 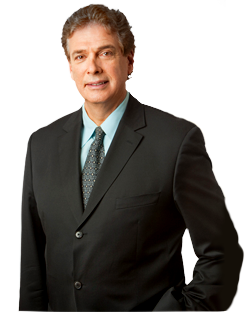 I wholeheartedly recommend Paul - I cannot think there is a better divorce attorney in New York City, or maybe anywhere." John G.
"I am taking this opportunity to thank Paul Rudder, my attorney, for handling my very complicated divorce. He managed to work out an agreement that was fair and equitable without the rancor and bitterness that so often accompanies these trying situations. He displayed hard work, integrity, knowledge, and empathy. And finally, it was his accessibility and perseverance that led to such a great outcome." Bruce K.
"Paul Rudder is an amazing person and a great lawyer. He has a heart but also great legal skills. He took me through a brutal experience with very good results. I highly recommend him to anyone who needs a divorce attorney" Debra W.
"I needed a divorce and there was a lot at stake, significant assets and 2 kids. The divorce was not going to be friendly. There was a lot of hostility between and my now ex-wife. Paul Rudder did everything to avoid heavy litigation, tried to settle and negotiate as much as he could. Eventually we did go to court and this man knows how to try a case. I was very satisfied with the outcome." Bill A. "I was about to get married and needed a pre-nuptial agreement. I was recommended Paul Rudder by a friend who used him for his. This is a very difficult and sensitive matter and he really helped me understand and identify my rights, goals as well a fairness to my soon to be wife." Alex F.
"Paul is amazing!!! He is extremely intelligent, level-headed, supportive and reasonable. Anyone is lucky to have him on his side." Sam B. Rated 4.8/5 based on 21 client reviews on Google.